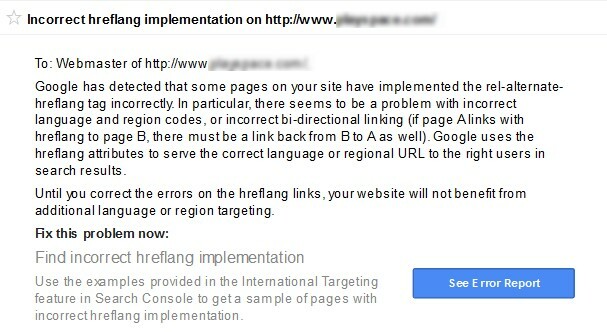 What Google means in this case is that some parts of the website are applying the tag hreflang incorrectly. In particular, there seems to be a problem with the language and region codes, or maybe the bidirectional link is not properly implemented. (If page A links to page B using the tag hreflang, then B has to link to page A). 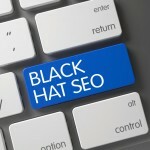 Google makes this implementation of the tag to provide the correct language to a regional URL. Then Google will return a more accurate search result to the precise users for that specific search. Many times the hreflang tag is not correctly aligned with the languages or countries of our website. In these cases, the error might be more complex to deal with if we are using a tool that is not capable of identifying it. Here it is recommendable to perform a manual check to detect whether the hreflang values are actually showing the correct language or country for the webpage. en-gb: English content for British users. 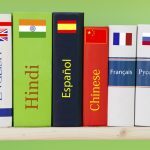 es-mx: Spanish content for Mexican users. 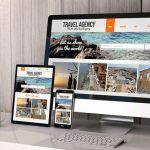 As time passes, we see that Google is notifying more and more via Webmaster Tool, so it is important to review it every two days and fix possible errors that we may find in our site. Doing this will make Google understand that our site is updated and free of errors, which will very possibly improve our ranking.